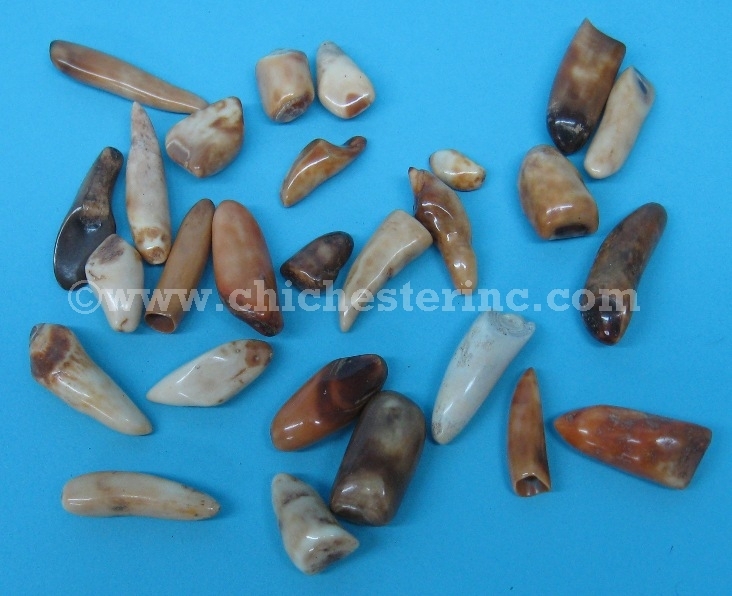 These are tumbled and polished fossil walrus teeth from Alaska. They measure approximately 0.5" to 2" long and 0.25" to 0.75" wide. 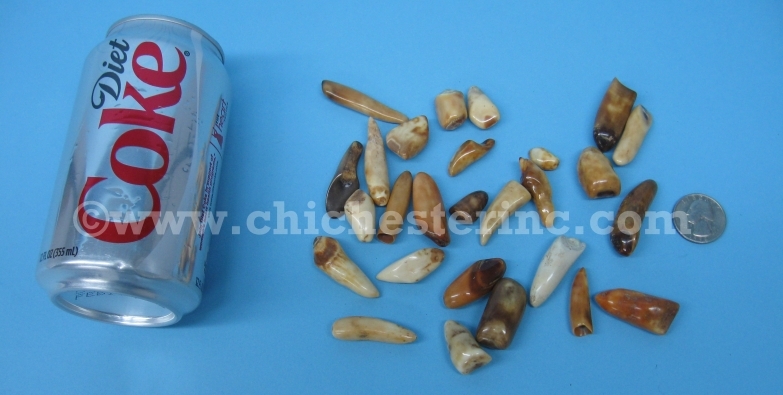 Each tooth is about 0.1 oz. You do not have to buy a whole pound.